Response: The U.S. Preventive Services Task Force recommends annual lung cancer screening with low-dose computed tomography (LDCT) for current and former heavy smokers ages 55 to 80. However, clinicians have questioned the practical aspects of implementing lung cancer screening. VA provides care for 6.7 million Veterans each year, mostly older men – many of whom are current or former smokers – thus the implementation of a lung cancer screening program for VA patients would require substantial resources. In order to understand the feasibility and implications of this for patients and clinical staff, VA implemented a three-year Lung Cancer Screening Demonstration Project (LCSDP) in eight geographically-diverse VA hospitals. Investigators identified 93,033 primary care patients at eight sites who were assessed on screening criteria, of whom 2,106 patients were screened between July 2013 and June 2015. 3) overall, 60% of the 2,106 Veterans screened for lung cancer had a positive result. This included having nodules needing tracking (56.2%), workup for possible lung cancer (2.0%), and diagnosed lung cancer (1.5%). Response: Providing a lung cancer screening program is a complex process that requires strong collaboration and coordination among staff in several clinical services and between clinical staff and patients who may be or are being screened. Many patients who undergo screening may have findings that raise concerns but are not cancer. 2) study design and use of decision aids to support shared decision making for lung cancer screening; and 3) explore the significance of and patient experience with incidental findings on LDCTs. Response: Two of the co-authors disclosed potential conflicts of interest (as listed in the article). 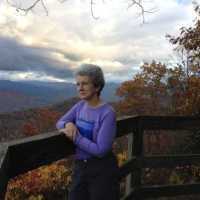 This entry was posted in Author Interviews, Cancer Research, CT Scanning, JAMA, Lung Cancer and tagged cancer screening, lung cancer by Marie Benz MD FAAD. Bookmark the permalink.